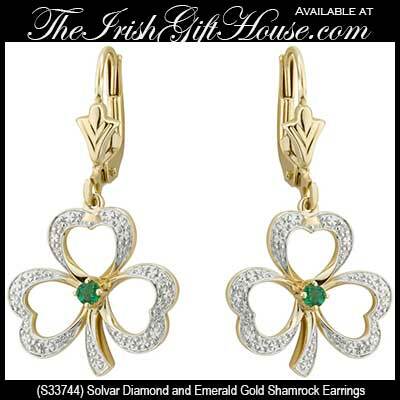 These 14K gold shamrock earrings features a 2mm emerald in each center along with a diamond in each leaf for a 0.03ct. 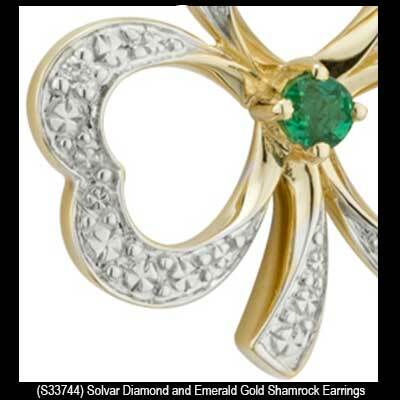 total diamond weight. 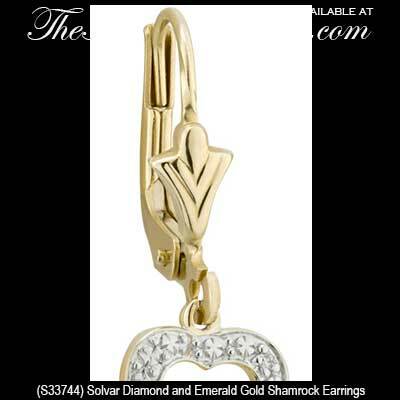 The engraved leaves are also accented with white gold. 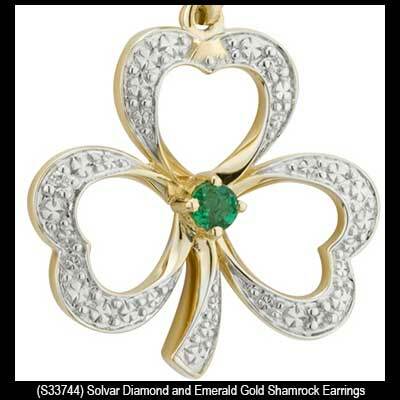 The drop shamrock earrings on latching Eurowires measure 5/8” wide x 1 1/8" tall, from the bottom of the stem to the top of the wire.